From 1946 through 2016, the Columbus Motor Speedway, the tough one-third-mile track led primarily by the Nuckles family, presented numerous motorsport events ranging from motorcycles to coupes and, finally, to stock cars. Through triumph and tragedy, rule changes and escalating costs, not only did the track survive and prosper but so did the weekly racers. During its 70-year run, the track witnessed the transition from homebuilt race cars to sleek custom-built cars constructed on jigs to exacting specifications, with a corresponding increase in speeds. To keep up with a changing fan base, other events were offered in addition to weekly stock car shows, such as school bus races and thrill shows; however, the core focus remained on the grassroots racers who supported the track week in and week out. Racing historian Mike Garrepy has spent the last 25 years documenting racing in Central Ohio. 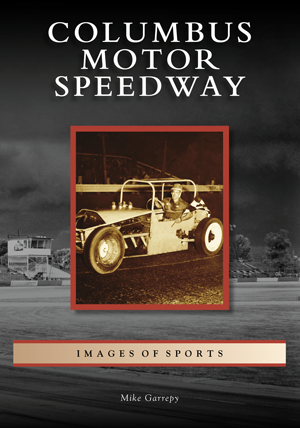 Using the photographic negatives of the Rader brothers and the digital files of photographers Scott McIlwayne, John Rees, Earl Isaacs, and Jack Clay, the author tells the story of the track and the men and women who made it all possible.